The success of our program can be seen in the example of a recent graduate of the program who struggled with alcoholism for decades. It ruined his family life and his business life. He had failed at prior treatment programs multiple times and eventually found his way to Matt Talbot. He moved into our Recovery Program Shelter so he would have a safe, clean place to live while he attended Matt Talbot Center for intensive outpatient treatment. Because he had a safe place off the streets, a bed and food on the table, he didn’t have to worry about how he would survive but could focus all of his attention and work on his recovery. It wasn’t an easy path and after a few months, he relapsed but he immediately decided to get back on track. He returned to inpatient treatment and when he completed treatment, he returned to ICS…and the rest as they say is history! When he started regaining his health and embraced the tools needed to maintain recovery, he transitioned into the second phase of his program and returned to school, pursuing a degree in computer science through a local community college. This career path now promises him a middle-class supporting wage. 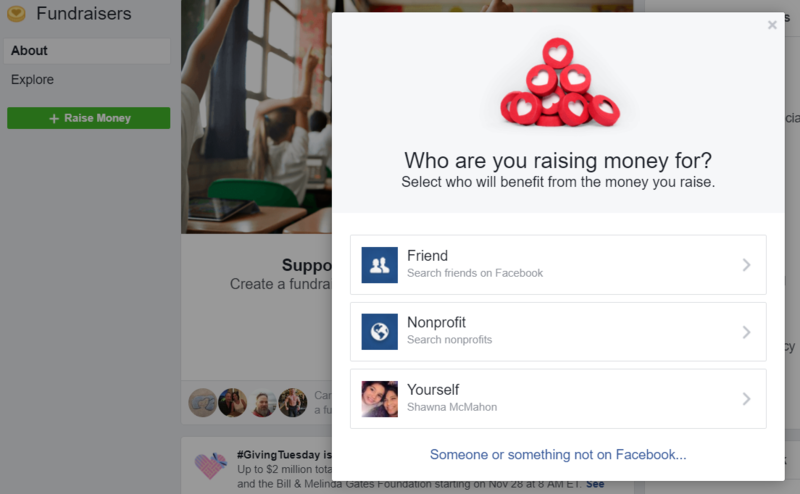 Step 1: Click here to start a fundraiser. 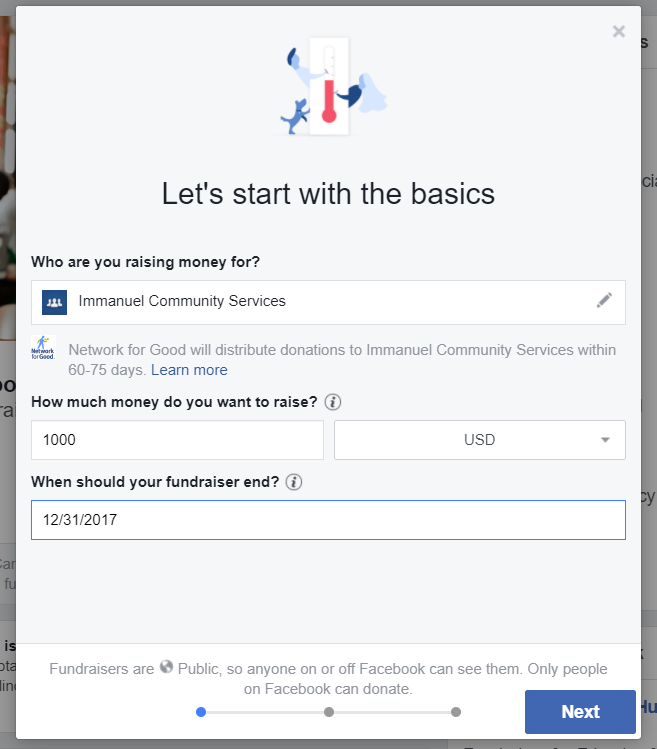 Step 2: Click the blue “Raise Money” bar and when a window pops up, click the box that says “Get Started”. 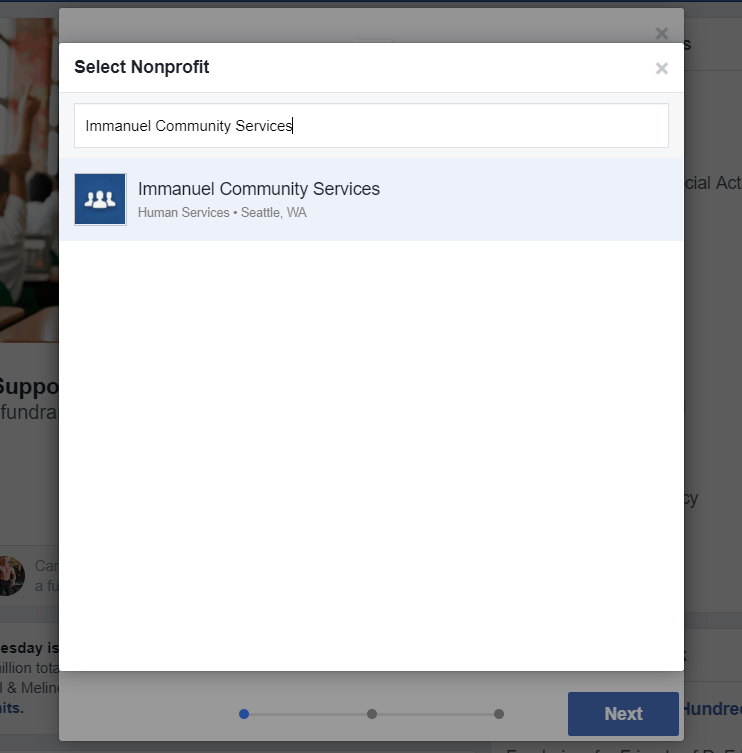 Another window will open and then choose “Nonprofit” from the three options. Step 3: Search for Immanuel Community Services. Step 4: Once you have chosen ICS, you will be able to enter your information. Step 5: Customize your fundraiser! Please use this format for the Fundraising Title: Help [your first name] raise $1k to fight homelessness and hunger! Enter December 31, 2017 as the end date for your fundraiser. Your goal amount is $1,000. 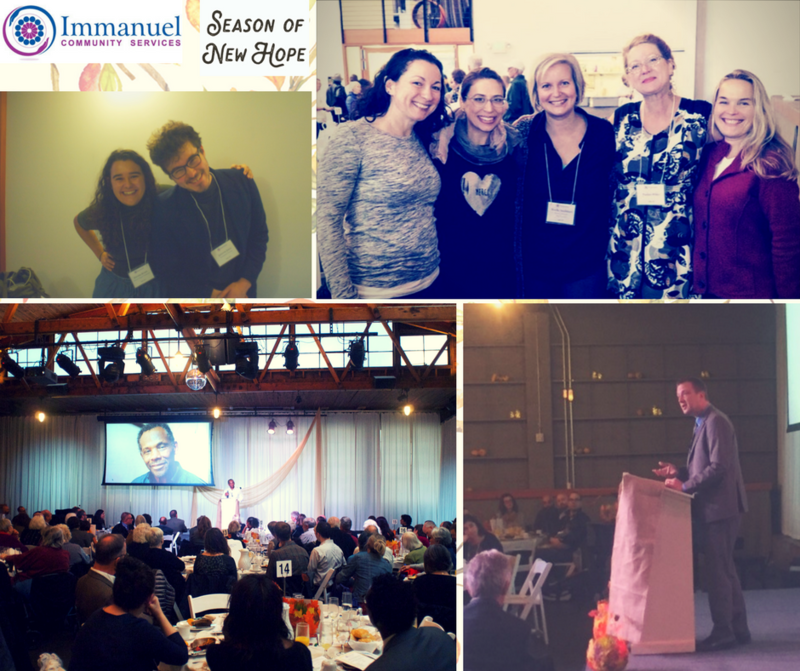 A huge thank you to everyone who was a part of our 8th Annual ICS Fall Benefit Breakfast! The celebration was a tremendous success and we felt blessed to share with you all what makes ICS’ Programs truly unique. Thanks to your support, we raised over $52,000! In particular, a huge thank you to Joe McDermott, our Keynote Speaker, for gracing us with his words of wisdom in the midst of this current homeless crisis. He also weighed in on the theme of this year’s Breakfast, “A Season of New Hope.” While acknowledging the seriousness of the homeless crisis, Joe remains “optimistic that we will find a time when people in need will be housed, [a time when] they will have access to healthy and nutritious food” as well as a fundamental sense of “safety and security.” Immanuel Community Services, as Joe put it in his talk, plays “a key part” in the work being done for those who are without home or shelter. In the face of this crisis, we pride ourselves on our ability to bring hope and optimism to those who need it most. Thank you being part of this important work. If you didn't get a chance to donate at the Breakfast, it's not too late! Click here to make a donation towards "A Season of New Hope" for those in need!